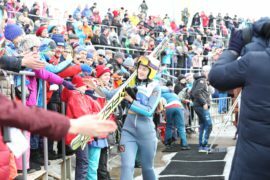 Based on qualification round results, 42 female athletes, including eight Russians, made it to the starting line. Norway’s Maren Lundby won a clear lead on the HS140 hill. She secured her victory with the jumps of 128 meters and 137.5 meters. 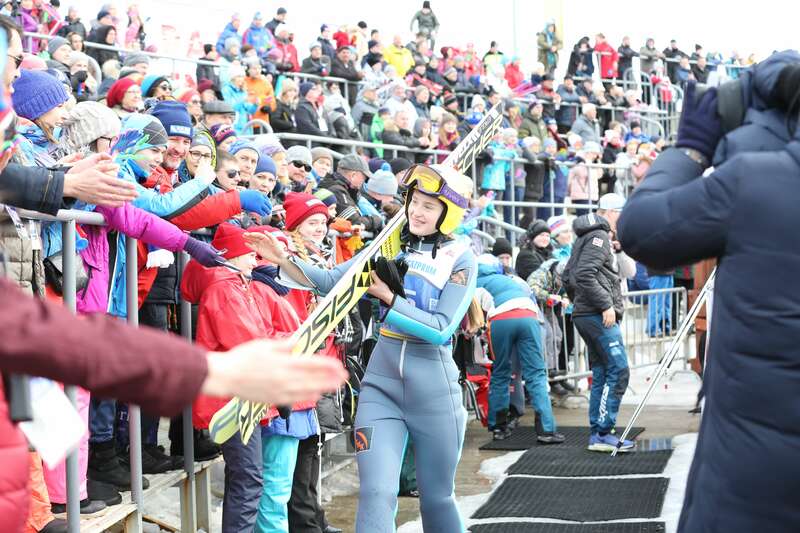 The silver went to Germany’s Juliane Seyfarth, who was behind the leader by 12.9 points, while 19-year-old Nika Kriznar from Slovenia won the bronze. The winners were awarded by Maxim Reshetnikov, Governor of the Perm Territory, Sergey Suslikov, Director General of Gazprom Transgaz Tchaikovsky, Dmitry Dubrovsky, President of the Russian Ski Jumping and Nordic Combined Federation, and Alexander Postanogov, President of the Prikamye Ski Jumping and Nordic Combined Federation. Gazprom Transgaz Tchaikovsky is a wholly-owned subsidiary of Gazprom. The company is focused on natural gas transmission to consumers in the Perm Territory, the Republic of Udmurtia, the Kirov Region and the Republic of Tatarstan, as well as on gas transit via 15 gas trunklines to the central regions of the Russian Federation and abroad. The company maintains over 10,500 kilometers of gas trunklines carrying more than 300 billion cubic meters of gas. The company comprises 18 branches, including 12 gas pipeline operation centers, 15 compressor stations, 251 gas compressor units, and 7 CNG filling stations. It has 123 operational gas distribution stations. The ISO 14001:2015 environmental management system and the ISO 50001:2011 energy management system are in place at Gazprom Transgaz Tchaikovsky as part of its environmental policy. The company employs upward of 8,500 people and is headquartered in Tchaikovsky.